Microsoft officially announced that it will be acquiring Obsidian Entertainment This is the developer behind some major RPGs like Fallout: New Vegas, Star Wars: Knights of the Old Republic, South Park: The Stick of Truth, and Alpha Protocol. The company made the announcement during X018, an Xbox focused fan event that took place in Mexico City. "As one of the industry's premiere RPG developers, we couldn’t be more excited about the opportunity to add their expertise to Microsoft Studios, while enabling the studio to preserve its unique culture and build on its talent and vision to fully realize their creative ambitions," Microsoft said in their statement. 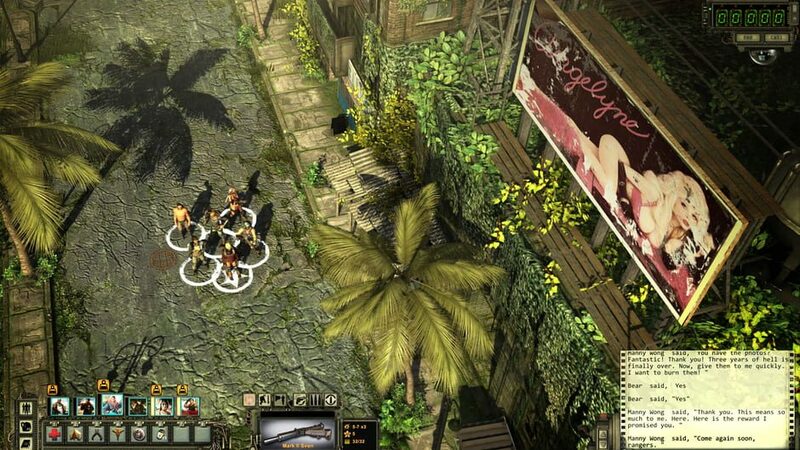 According to Microsoft, this is only one of two major acquisitions the company will be making, the second being inXile Entertainment, the studio responsible for Wasteland 2, Torment: Tides of Numenera, and The Bard's Tale IV: Barrows Deep. Microsoft pointed out that both of these developers make relatively similar games and they will continue to utilize their talents to make games for Xbox consoles. The company also mentioned that with the acquisition of both Obsidian and inXile Entertainment, Microsoft Studios is now made of 13 development teams that differ in development expertise. During this year's E3 press conference, Microsoft confirmed that they were acquiring Santa Monica-based, The Initiative, a new studio led by Darrell Gallagher, former Head of Studio for Tomb Raider developer, Crystal Dynamics. Microsoft recently purchased State of Decay developer Undead Labs, Forza Horizon developer Playground Games, We Happy Few developer Compulsion Games, and the developer behind Hellblade: Senua's Sacrifice, DmC: Devil May Cry, and Heavenly Blade, Ninja Theory. Obviously, Microsoft needs to make up for their lack of unique console exclusives that has consistently kept Xbox behind Playstation. 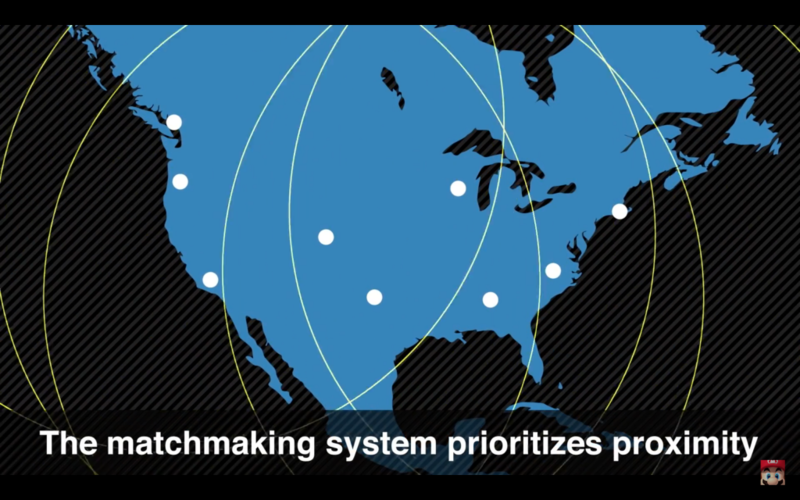 We'll keep a close watch on this story to see what Microsoft has planned for the future for these companies. 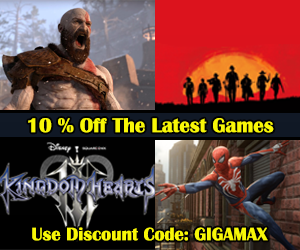 Be sure to keep checking back here at GigamaxGames.com for all the latest updates. Game of The Year 2018: What Could It Be? The Games Awards takes place on December 6th and Game of The Year 2018 will be announced. Any gamer keeping up with the latest titles knows the race for Game of The Year 2018 will be a tight one. It seemed every month brought with it at least one highly-anticipated hit. Gamers were on the edge of their seats, itching to play the next big thing. People didn’t even have time to beat the games they just bought before jumping back on their favorite online retailer to pick up the next one. Below is a list of the top picks for Game of The Year 2018. Each one caused waves throughout the gaming community. Some are still waiting to be released. All are facing some incredibly stiff competition. Don't forget to vote for your choice at the bottom of this article. Monster Hunter has been around as a series since 2004. Gamers are tasked with, well, hunting monsters. This grind is incredibly addicting and Monster Hunter: World took the game to an entirely new level. Gaining global attention, this niche franchise attracted gamers of all kinds. Taking out some of the more tedious mechanics, Monster Hunter: World appealed to a mass market. Far Cry 5 brought with it a beautiful open world based in Montana. Absolutely stunning, it gave gamers a story that pushed boundaries and made people think. Long-time fans weren’t all happy about the new title as the “wow” factor continued to fade after so many iterations. However, the developers were willing to make a statement and create an entertaining experience from start to finish. Only time will tell if Far Cry 5 can take home the Game of The Year title. The first PlayStation exclusive to make it to this list is also in high contention for Game of The Year 2018. God of War made those without a PlayStation 4 jealous to the point of running out and buying the console for nothing else but a chance to play. A completely new take of Kratos, long-time fans loved seeing this historically brutal non-hero in a new light. 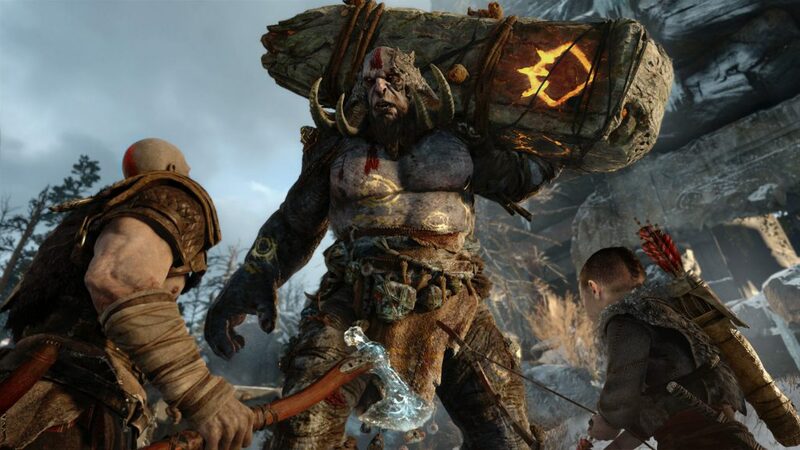 Kratos with a heart and the all-important 'Boy'might just take home this year's Game of The Year 2018. 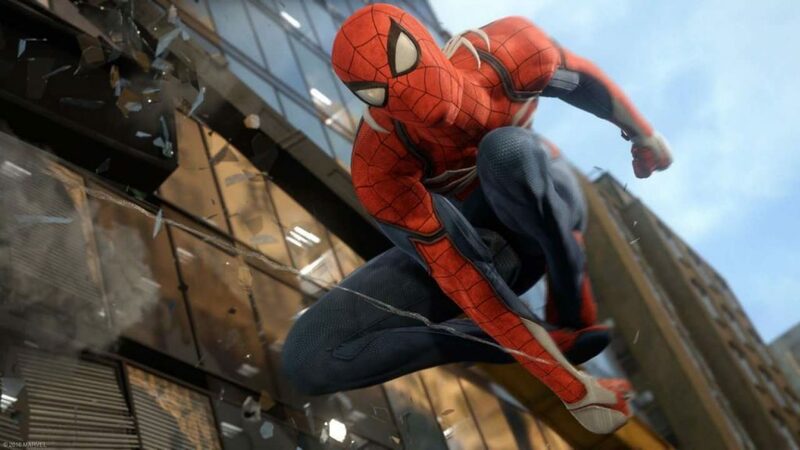 Addicting, emotional, and an absolutely spectacular take on Spider-Man, the PlayStation 4 exclusive Spider-Man captured the imaginations and hearts of gamers worldwide. Swinging through an incredibly accurate New York City never felt better. The developers did an amazing job staying in-line with the light-heartedness the Spider-Man series is known for. It was difficult to put this game down. With its addicting nature and entrancing story, Spider-Man is high up on this list. Assassin’s Creed Odyssey will be the last Assassin’s Creed the world will see for quite some time. The developers seem confident this game will be enough to hold fans over. Its massive world and RPG elements make a perfect mix for a game that is expected to continue expanding. Fans were a little confused about its story. It is unclear which side the main character, either Alexios or Kassandra was supposed to be fighting for, however, the game is absolutely a fun ride. 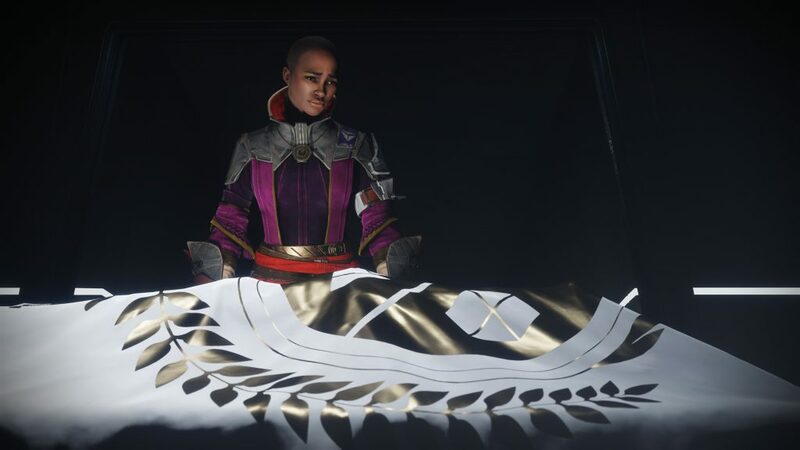 Even with its drawbacks, Assassin’s Creed has a chance to take that all important title as Game of The Year. The incredibly detailed and unbelievably hyped Red Dead Redemption 2 made its way to consoles close to the end of the year and made a massive impact. It was well reviewed and yet still faced criticism by gamers. The ultra-realistic direction Rockstar Games took made the game both immersive and frustrating for some. 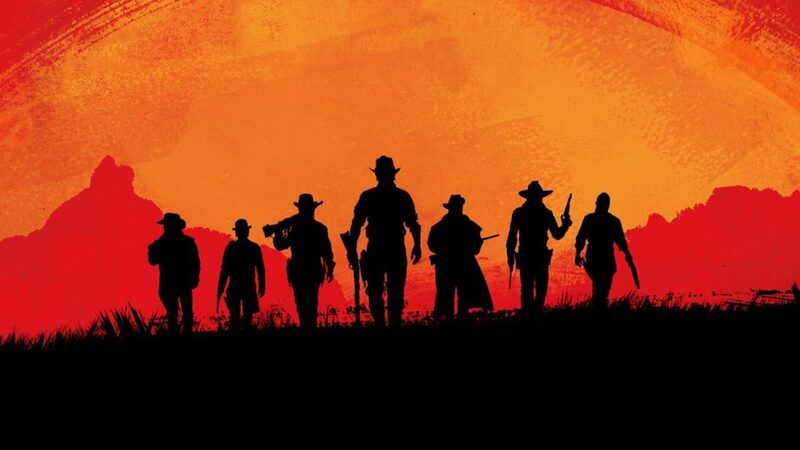 With all the excitement, with all the detail, and all the hard work that went into Red Dead Redemption 2, the question remains if it will be enough to let this game achieve the honor of being titled Game of The Year. 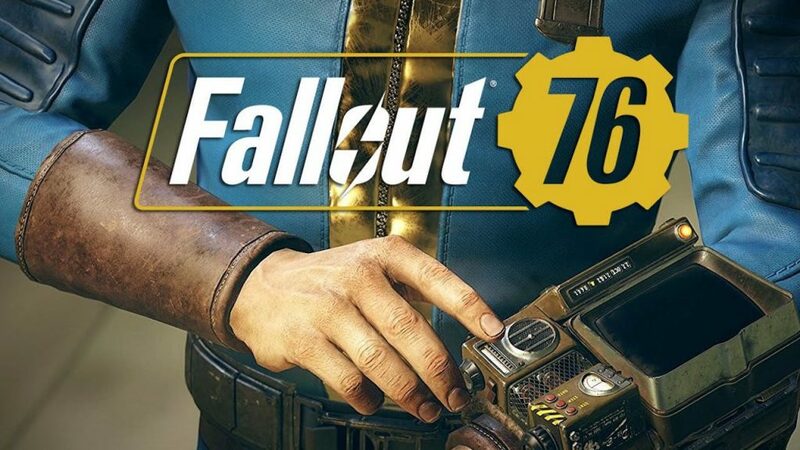 Fallout 76 is Bethesda's experimental take on a multiplayer RPG. 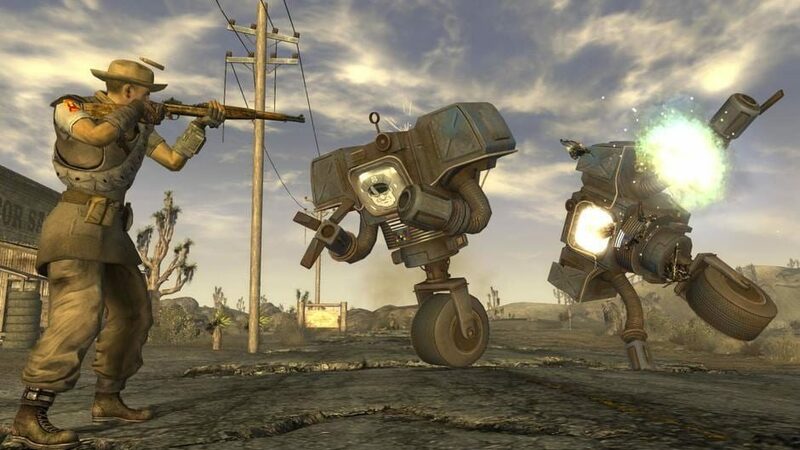 Never before has Fallout given gamers the opportunity to play with their friends, in the same world, at the same time. Fans were shocked when they heard the news. Some were even enraged that Bethesda would force its single-player loving fan base to play with others. However, the developer thought about this and made some interesting additions to protect those that enjoy playing solo. Making its appearance close to the end of the year, it only has a couple months to have an impact on the industry. Super Smash Bros. Ultimate is cutting it close. Releasing a day after The Game Awards, fans don't even have a chance to play before a Game of The Year is announced. Nintendo has done a spectacular job getting fans excited about the new Super Smash Bros. game for the Nintendo Switch. Without getting hands-on with Ultimate, it’s too early to tell if it has what it takes to beat out all the unbelievable competition it will face. What game do you think will take home Game of The Year 2018? Vote below! Think a different game will take home the title? 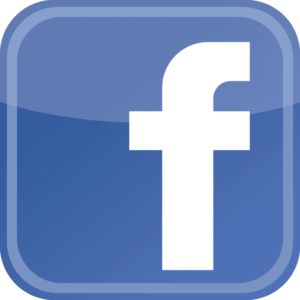 Leave a comment at the bottom of this page and let the world know! 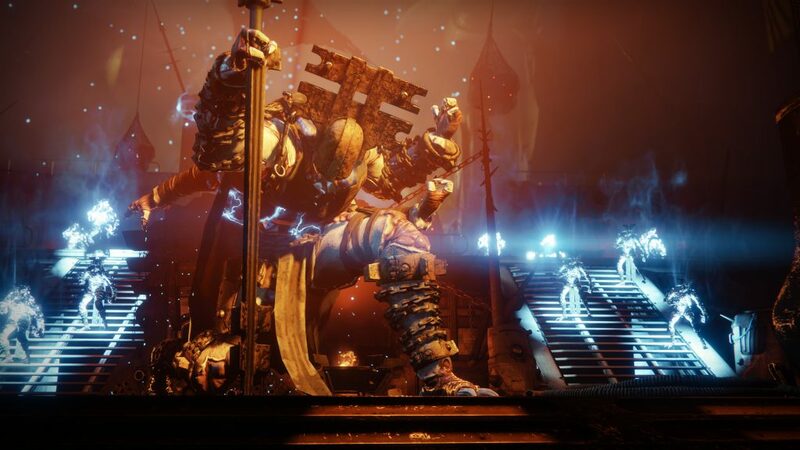 What will win Game of The Year 2018? Super Smash Bros. 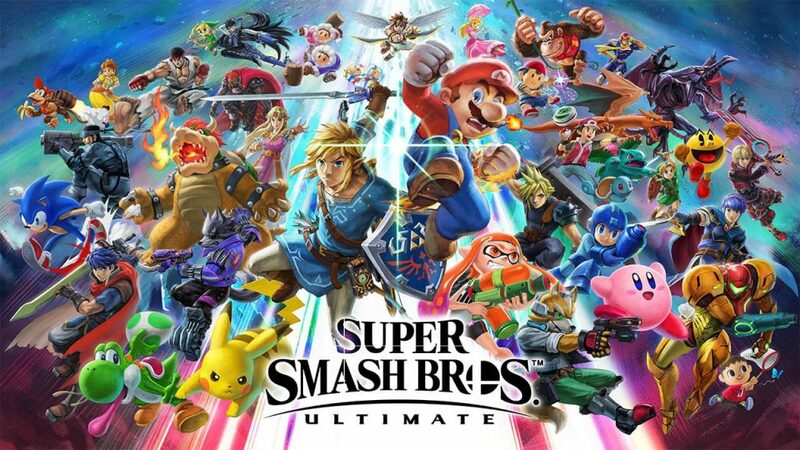 Ultimate is a little over a month away and Nintendo finally pulled back the curtain on the final details regarding their plans for the immensely popular fighter. For this special Nintendo Direct the creator of the Super Smash series, Masahiro Sakurai, revealed a ton of details ranging from new fighters to intricate new systems meant to shake up the game. Below we'll be listing our top 5 big reveals, but for a more detailed look, you can watch the full Direct below! To round out the humongous roster of 74 characters, Nintendo revealed that Ken from Street Fighter and Incineroar from Pokemon Sun/Moon will be making their way to Super Smash Bros. Ultimate. Ken is going to be an Echo Fighter to Ryu, mimicking most of his moves with slight differences and increased run speed. 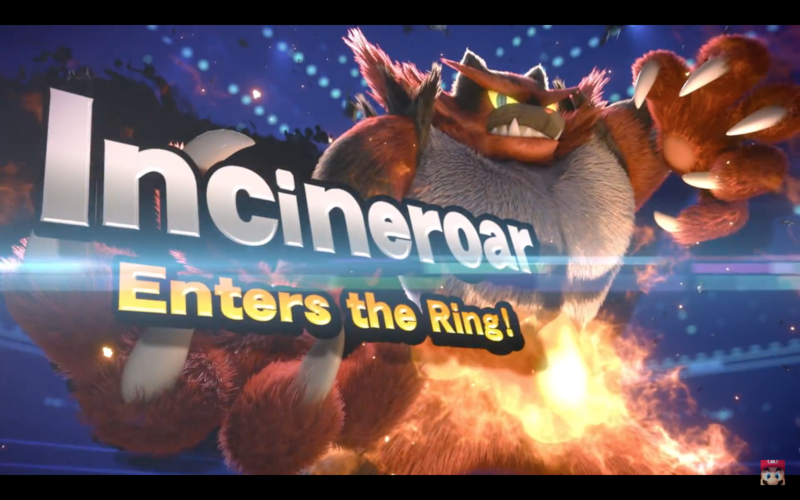 Incineroar on the other hand is a completely new fighter and the latest Pokemon to join the battlefield utilizing a number of moves fans will recognize from the series. Instead of the long-running trophy system the series is known for, Nintendo is trying something different for Ultimate. 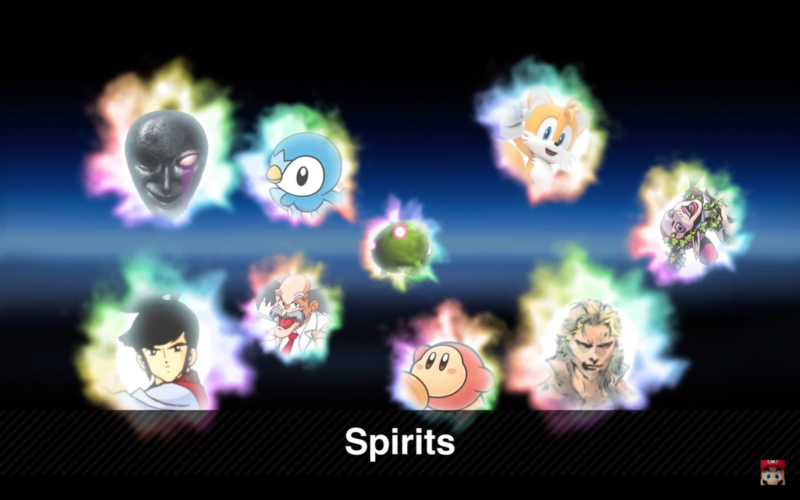 Spirits are supporting characters that didn't quite make the cut for the final roster and can power up fighters with a variety of abilities and bonuses. Spirits can counter each other and they all have unique artwork that makes them fun to collect! Super Smash 4 on the Wii U was the first game to introduce online matchmaking but separated it into two modes known as For Fun and For Glory. Ultimate is getting rid of this system and implementing a new one that will allow players to choose their own rules and find those looking for a similar experience. Those looking for a more competitive system can look forward to the Global Smash Power Ranking System where fighters are ranked based on skill. Gamers that are ranked high enough, a new special mode is unlocked. Along with the 74 characters featured in the base game, five more fighters are also making their way into Super Smash Bros. Ultimate post-launch. 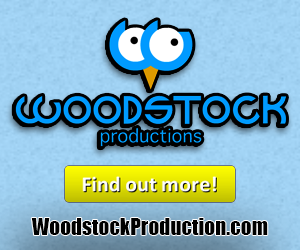 Each character comes with a new stage and song. Each character cost $5.99 or $24.99 for the season pass bundle. 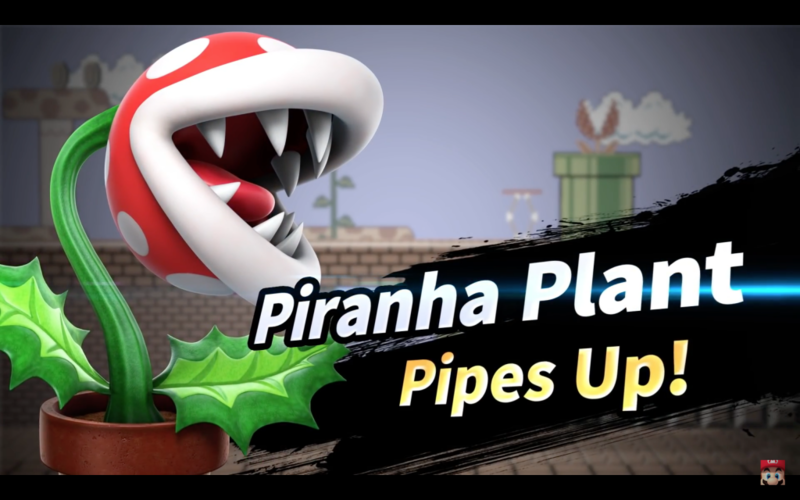 On top of the five DLC characters, those that purchase the game before January 31st, 2019 will get Piranha Plant as a fighter for free a few months after the game comes out. A New Story Mode Named "The World of Light"
For the story mode in Ultimate, Nintendo is looking back at how all of the characters got turned into the toys that have to fight their way back into the real world. This new adventure features an ongoing battle to free the fighters from the clutches of the Master Hands that are cloning evil versions of the popular heroes. The adventure starts with Kirby, the lone hero to make it away from the nasty beams, but will eventually involve the entire roster attempting to thwart evil.